Ratings matter. I know no matter what small children will play games that aren’t suitable for them, but the reality is that many people and retailers still follow the rules and ensure that only those allowed make purchases. 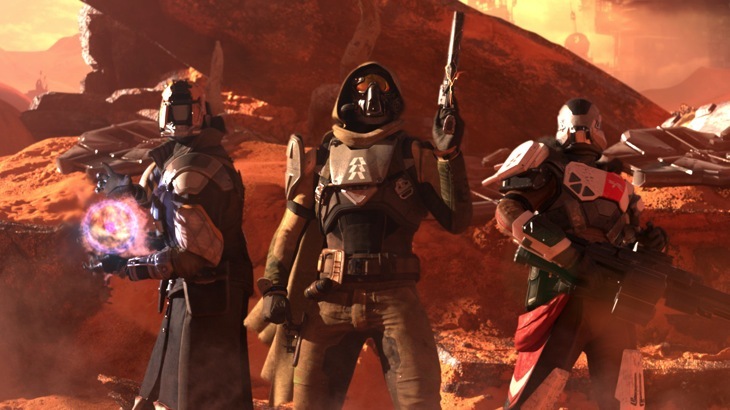 Destiny has grabbed a Teen rating, which is excellent news for the new IP. Polygon has confirmed that Destiny is rated T for Teen by the ESRB. It received this rating thanks to containing animated blood and violence, but avoided a M for Mature rating due to the absence of gambling, tobacco use, or harsh language. This might finally be the shooter that you can play before sending the kids to bed. For Destiny, we didn’t aggressively pursue one rating over another, though. We constructed foundational pillars that have guided development from start to finish. We wanted our worlds to be a place people felt good about spending time in. We wanted our worlds to be worthy of heroes. For us that meant Destiny would never be reprehensible, but rather bright, hopeful, and adventurous. That’s a world that resonates with us, and we hope it resonates with gamers, too. I’m glad that was their intention, but of course it’s also helpful for the new IP. All the Halo games ended up with the M for Mature rating, despite the fact that this might not have been entirely appropriate. With Destiny starting out at T for Teen, this means it’s likely that the IP will carry that rating throughout its lifespan, helping to increase sales and ensure the more mature generation can teach the teens how to shoot and teabag like an adult.